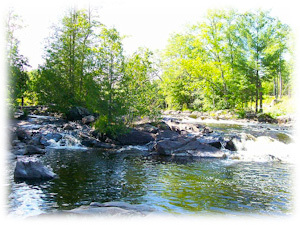 Located on the West Branch Montreal River (Hurley Area). and continue .2 miles. Turn west (right) on Town Park Road. Cross the one lane bridge to enter the park just below the falls. 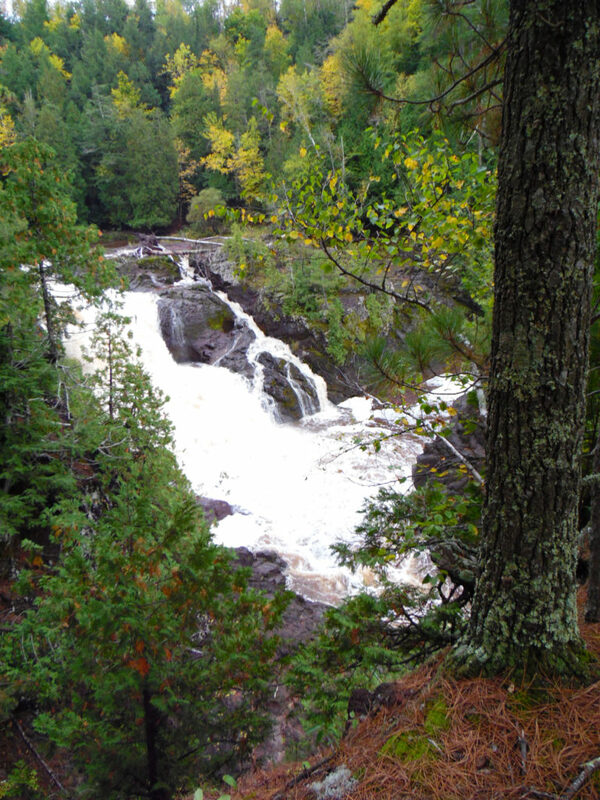 Other scenic rapids and riffles are upstream. Picnic area and pavilion available. Located on the Turtle River (Mercer-Turtle Flambeau Flowage Area). North from Mercer on U.S. 51 for 1.4 miles. Turn west (left) on Hwy. FF and proceed 5.2 miles. Turn left at Iron County Park/Lake of the Falls sign. to Turtle Flambeau Flowage via Turtle River. Located on the Potato River. 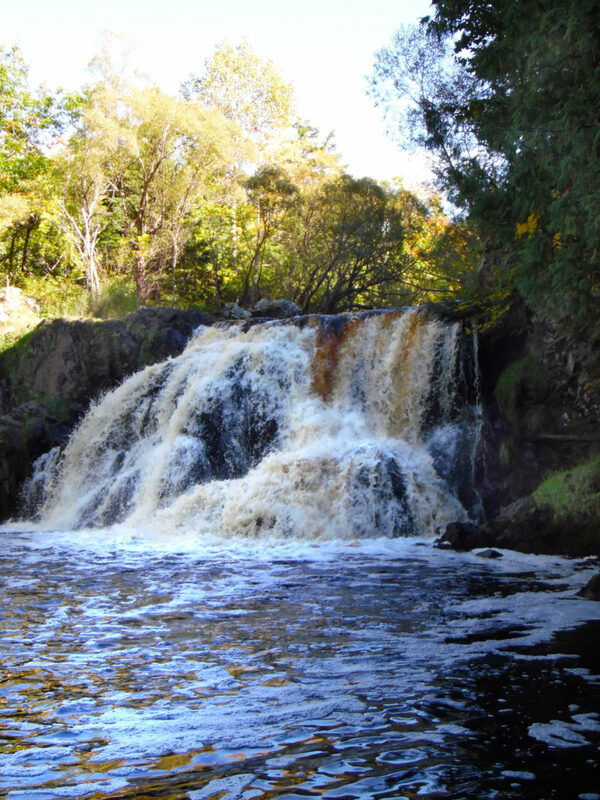 to the river and falls. for about 10 miles to Hwy. 122 S.
where you will turn right and proceed about 3 miles to the river and falls. From Hurley via Hwy. 51 South, travel 4 1/2 miles. Turn right (west) on County Hwy. C.
About 1 1/2 miles west, the county road turns sharply north - don't take that. Continue forward on the gravel road (Island Lake Road). to Falls Road. Turn right, go about 1.3 miles. to a rough logging road on the left. Follow 0.9 miles to falls. ATV access via Route 13. Travel west from Upson about 2 1/2 miles on Hwy. 77.
on Casey Sag Rd. near the rustic trail on the west. Then it is about a 3/4 mile hike. From Hurley travel West on US-2 about 17 miles to Hwy. 169. Turn left (South) on Hwy. 169 and go about 5 1/2 miles. 3 1/2 miles until a hairpin turn. 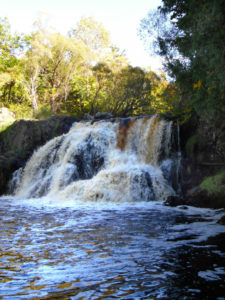 the north side of the falls. *OR from Hurley travel about 15 miles West on Hwy. 77 to Casey Sag Rd. Turn right (North) and travel about 12 miles up to Vogues Rd. (do NOT take Vogues Rd). Take the road on the left (South) and continue about 1.5 mile. 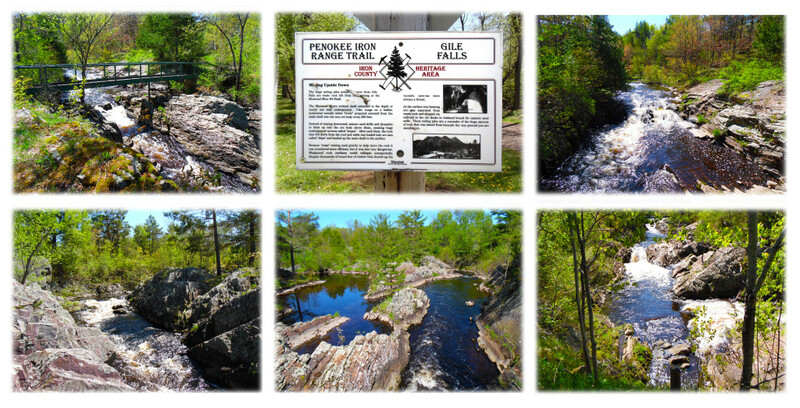 From there hike up the hill to a primitive campsite above the north side of the falls. 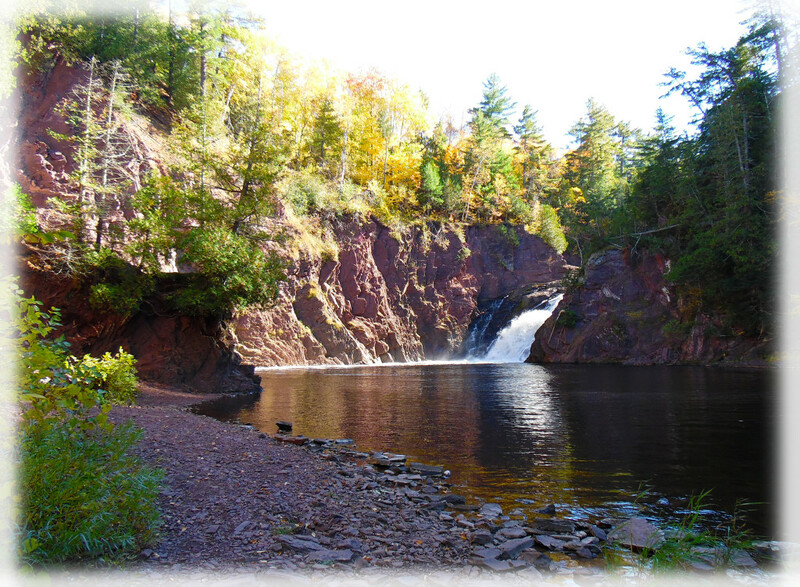 We invite you to enjoy the Waterfalls of Iron County, located in northern Wisconsin, as perfectly natural now as when they were discovered. 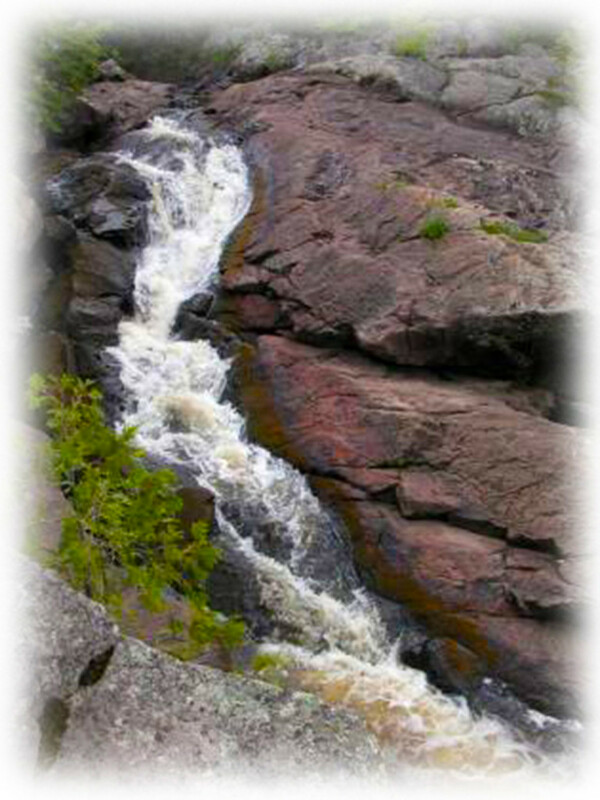 You’ll find some of the most spectacular waterfalls in Wisconsin here, both in height and surrounding scenery. 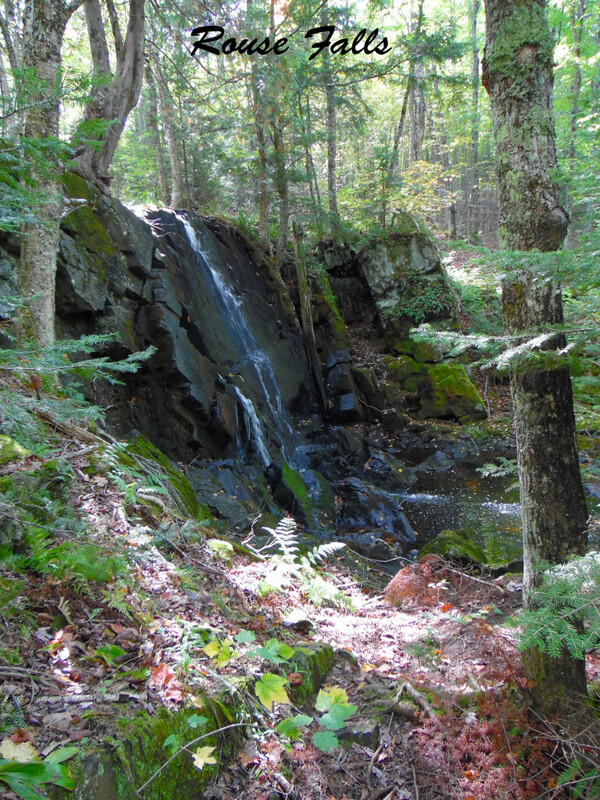 Most of Iron County’s many waterfalls are located off-the beaten path, unspoiled by crowds. 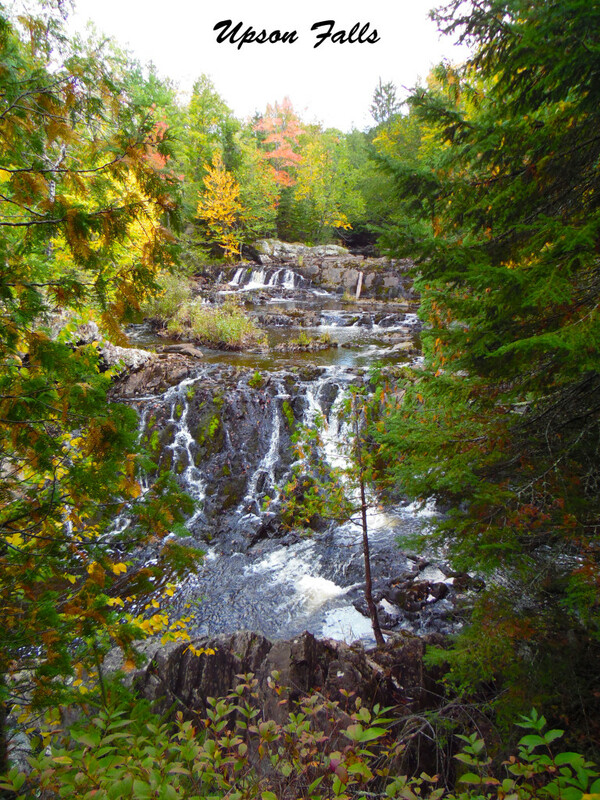 Play it safe around these natural areas—use care and enjoy the falls from a safe distance. 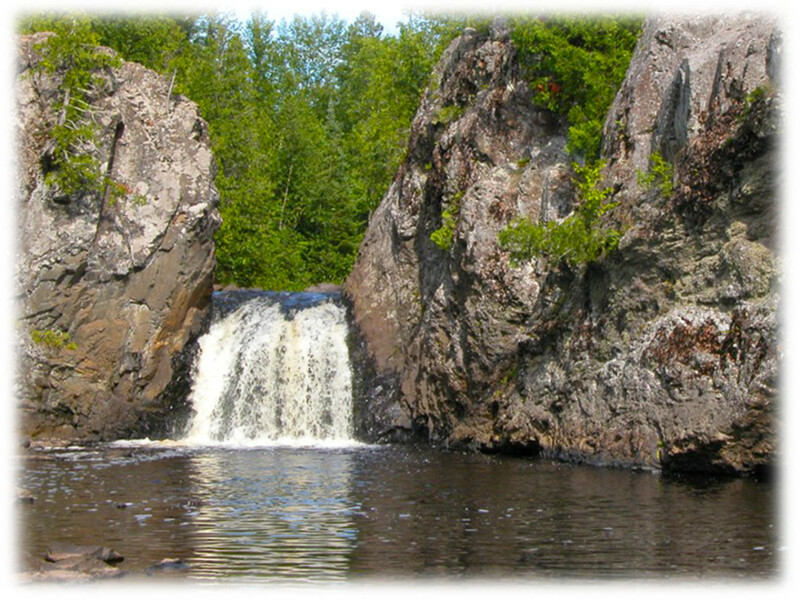 Located on the Montreal River (Lake Superior/Saxon Area). Take Hwy. 122 north of U.S. 2 approximately 4.2 miles. You will cross the Wisconsin/Michigan Border. Continue another .5 miles, then turn left on a gravel road. Located 14 miles northwest of Hurley, WI and Ironwood, MI. are easier to get to. Located on the Potato River (Gurney Area). Head south from U.S. 2 on Hwy. 169, 2.8 miles (through Town of Gurney). Turn West on Potato River Falls Road, continue for 1.5 miles. Town park with rustic picnic campsites available. Located on the East Branch Montreal River (Hurley Area). 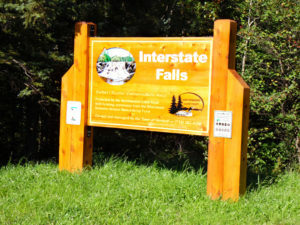 Take U.S. 2 west of Hurley for .6 miles to gravel road at Interstate Falls sign. Follow road straight east – do not take any side roads. Continue for .3 miles and park at large parking area on the left. 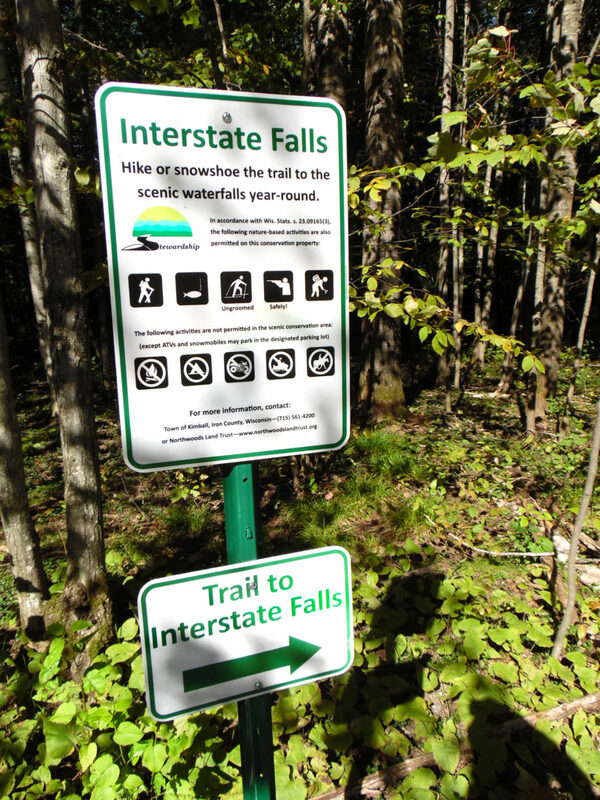 Follow the trail to the north to visit Interstate Falls. The trail is 0.3 mile long. Located on the Potato River (Upson Area). Take Hwy. 77 west from Hurley into Upson. Turn north at Upson Town Park sign, then left at end of street. After crossing the river, turn left into Upson Town Park. Camping & Picnic area available. *Campground & bathroom closes at the end of October. 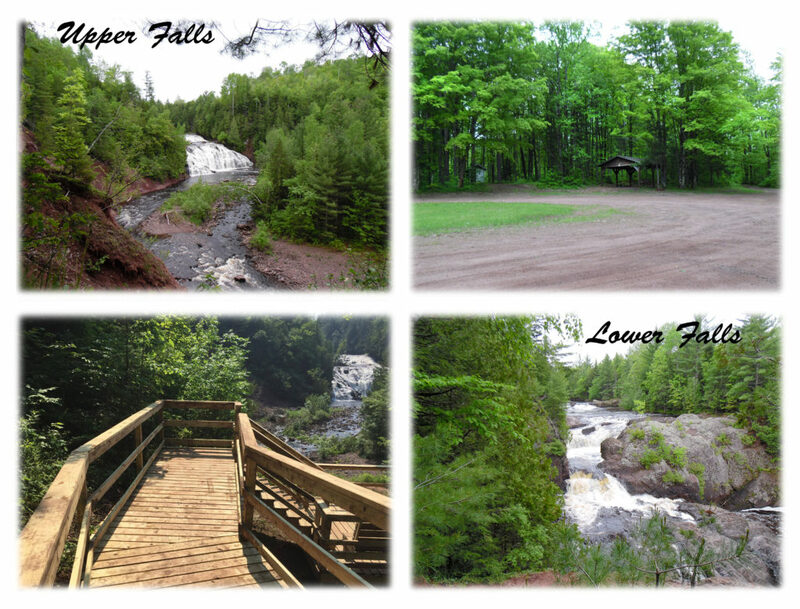 Located on the West Branch Montreal River (Gile Area). Head west on Hwy. 77 from Hurley, into Montreal. then right onto Gile Falls Street. 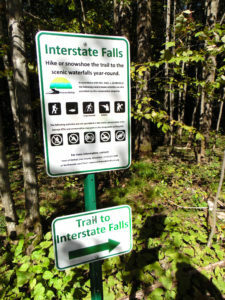 Proceed on street to overlook of falls. A snowmobile bridge crosses the top of the falls and can be accessed by foot. Located on the Turtle River (Mercer Area). Head east on County J in Mercer for 2.5 miles. Turn north (left) on Beaver Lodge Circle. Proceed 3.6 miles, passing Beaver Lake Road. small side road on the left leading to Shay’s Dam. Watch for “Shay’s Dam” sign. Park with picnic area available.